The search for the perfect bed can seem never-ending, namely because what one person considers comfortable could very well seem overly soft or too firm to another. The difficulty in finding a mattress that works is made more tedious if you have a partner with conflicting needs. What is interesting to see in the mattress industry is the change towards a more universal comfort mattresses, particularly those made by online-only manufacturers like Leesa and Nectar. There is little doubt that internet shopping has completely changed the way consumers purchase items, including significant purchases like a mattress. The days of perusing mattress and furniture stores or having to deal with the pushy salesman trying to sell you a bed you don’t want are over. Over the past few years more and more online-only mattress brands have popped up. Despite the initial doubt over purchasing something as important as a bed online, thousands of positive reviews prove that brands like Leesa and Nectar do produce a superior feeling mattress. Traditional mattress shopping is time-consuming and far from enjoyable. Instead of battling store employees and trying bed after bed, consider purchasing a Leesa or Nectar mattress. 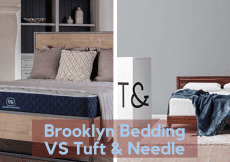 Both of these brands come highly recommended and somehow manage to bring comfort to a variety of different types of sleepers. 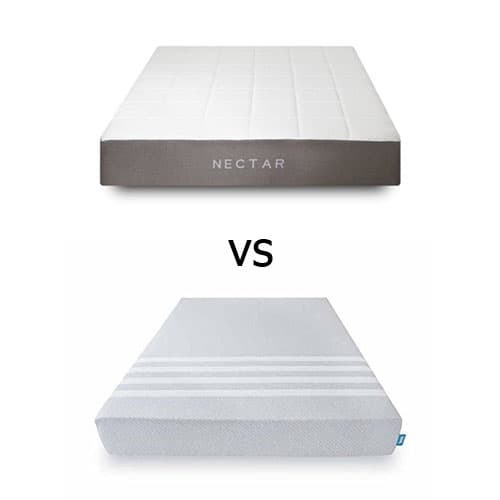 While Leesa and Nectar are both online mattress brands that offer excellent foam beds, there are a few key differences between the two to keep in mind when comparison shopping. In the world of online mattress brands Nectar is still fairly new yet they’ve already done quite well against the competition. Home Choice found that Nectar won their tests when it came to quality construction and comfort, which isn’t surprising considering all of the positive reviews for this bed. On a firmness scale of 1 to 10 the Nectar mattress is right around a 5.5 to 7.5 based on more customer opinions. This is right in the perfect category, which is why the Nectar is so popular amongst a wide variety of sleeper. In essence you can describe the Nectar as a medium firm classic memory foam mattress. Despite being made of memory foam, the Nectar is very cool and breathable to sleep on. The use of quilted gel memory foam and a Tencel cooling cover helps disperse body heat. Another important thing about Nectar beds is that all the foam used in construction are CertiPUR-US certified. This means that all layers of foam are made with dangerous chemicals and have very low VOC emissions ratings. Many worry about Nectar not being made in the US, but you can rest assured that all the same precautions have been taken to ensure a safe bed, just like a US-made brand. The Leesa mattress brand is one of the most trusted online-only brands. They are also one of few online-focused brands that also sells their mattress in some stores (some West Elm locations only). Since the Leesa isn’t widely available in stores in the least bit, the vast majority of sales comes from online purchases. The Leesa mattress is a very comfortable, versatile choice for the average sleeper that likes just a smidge of firmness. Back and stomach sleepers will particularly enjoy this bed, though there are thousands of happy side sleepers that are fans of Leesa as well. 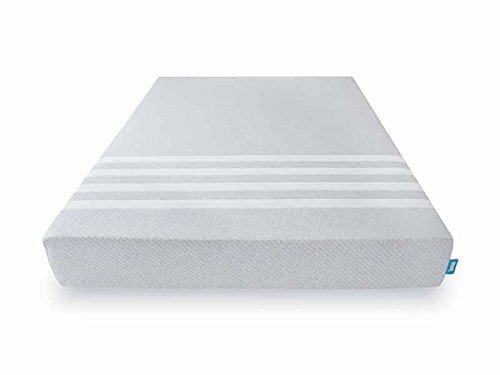 This foam bed has more of a bounce than other memory foam models, making it feel almost like a coil mattress but with the luxury of foam. If you’ve passed up on foam beds before because they were too soft, the Leesa could be perfect. 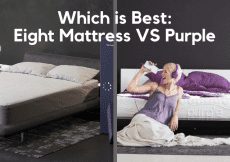 Which is the Better Bed? The Nectar and Leesa mattresses are both very well-made, comfortable foam beds. Leesa has been around for longer and therefore has more of a reputation and testimonials, but thus far Nectar has easily proven to up in the top tier in terms of quality. If going by reputation alone then Leesa does have a better one, but basing the purchase on this alone isn’t a good choice. Coming down to feel of the mattresses themselves, the Leesa is a little more firm and a little more responsive to movement. As you move on the Leesa there is a bit more of a bounce and you feel as though you are sleeping on the bed rather than sinking into it. The Leesa isn’t overly firm, however, so it still works well for most side sleepers. 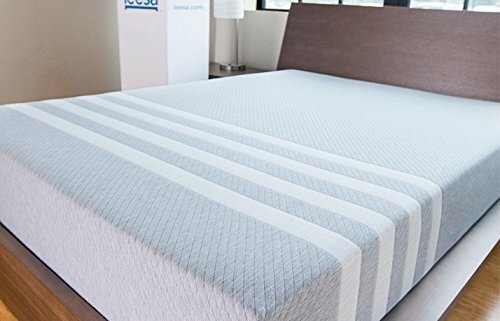 The slight firmness of the Leesa does make it feel more like a coil mattress whereas the Nectar feels more like a true memory foam bed. The Nectar mattress is a little bit softer and has a little more give. If you sleep on your side or just prefer a softer feeling bed that will let you sink in just a bit, the Nectar bed is preferred. The Nectar feels like a true memory foam mattress and is still made of safe materials, despite it not being made in the US. Another consideration that is important to many is pricing. Buying a mattress is considered a bigger purchase by many and finding a bed that meets sleep needs, as well as budget, is important. 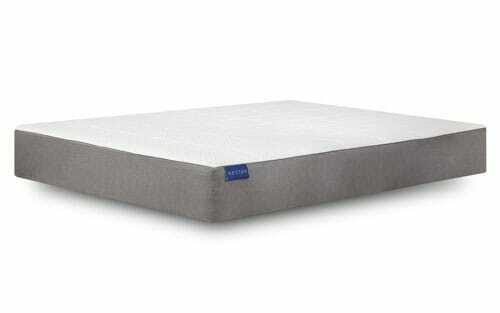 The Leesa mattress is still very reasonably priced compared to other mattresses but is more expensive than the Nectar. In fact, considering how often Nectar has discount codes you could spend a couple hundred less purchasing their bed instead of the Leesa. Both the Leesa and the Nectar are excellent beds. 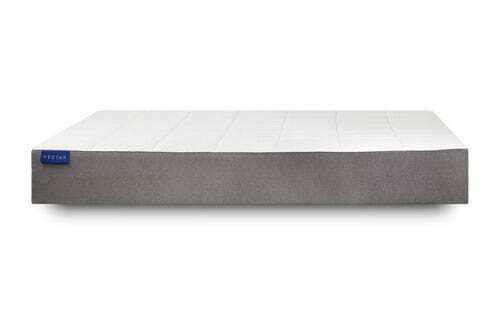 If you want a soft, classic foam bed priced incredibly well you will be happy with the Nectar. If you want a slightly firmer bed with a bit of a bounce, consider the Leesa.